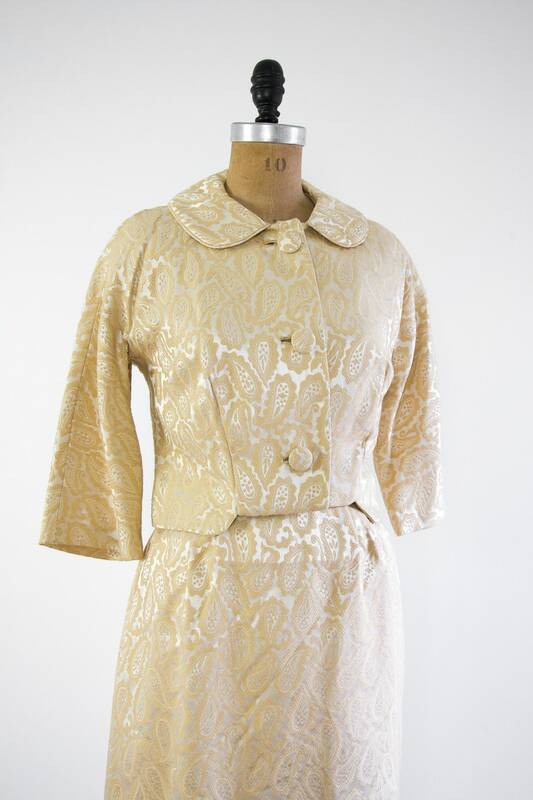 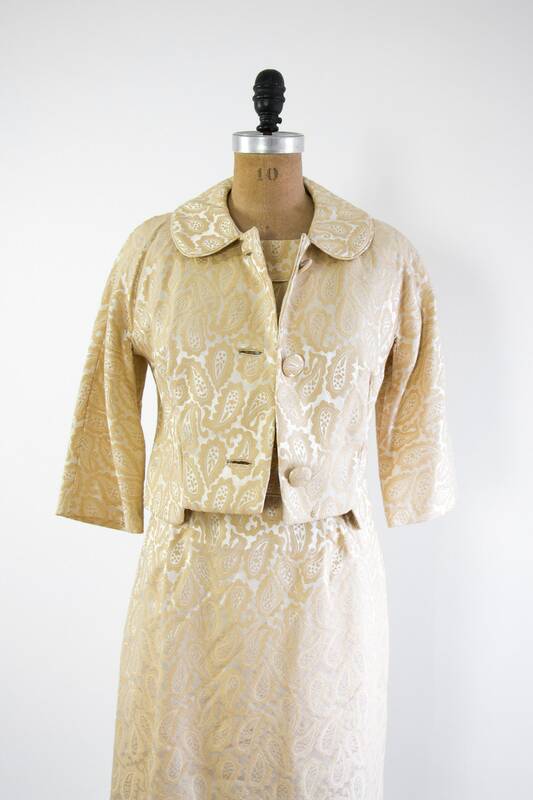 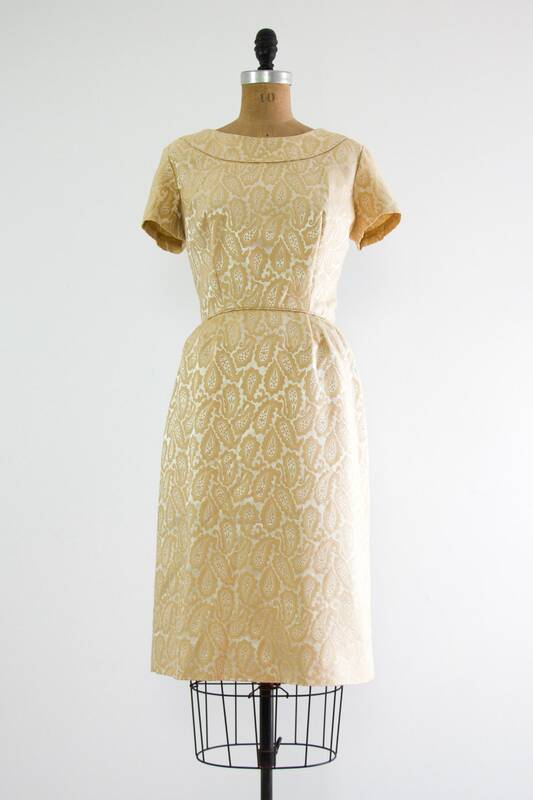 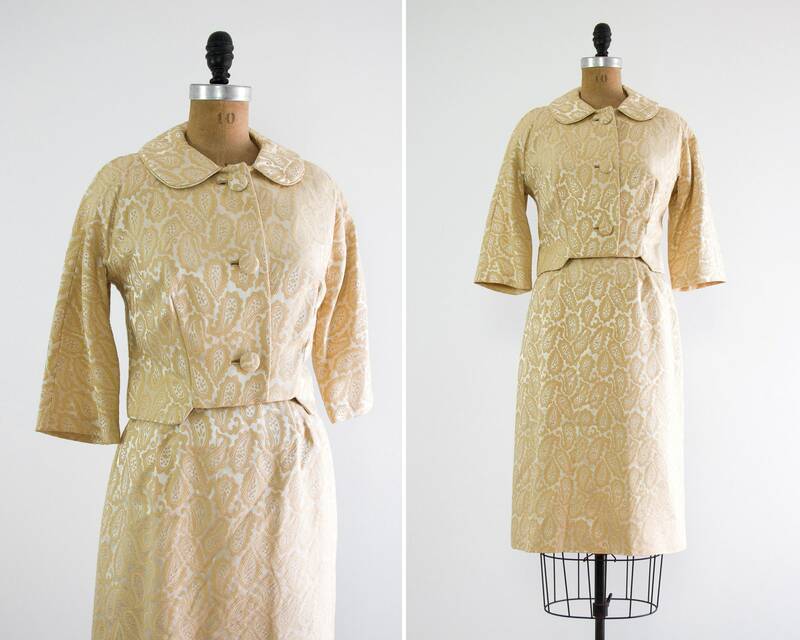 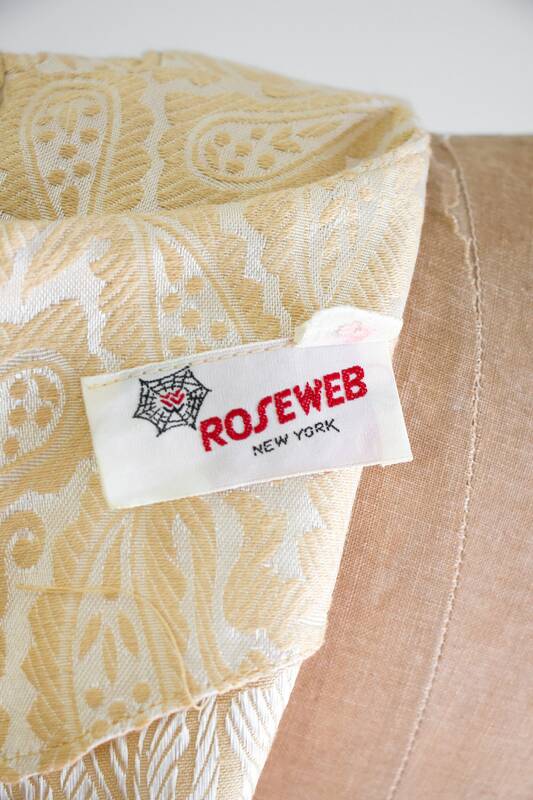 Vintage 1960s pale yellow dress suit. 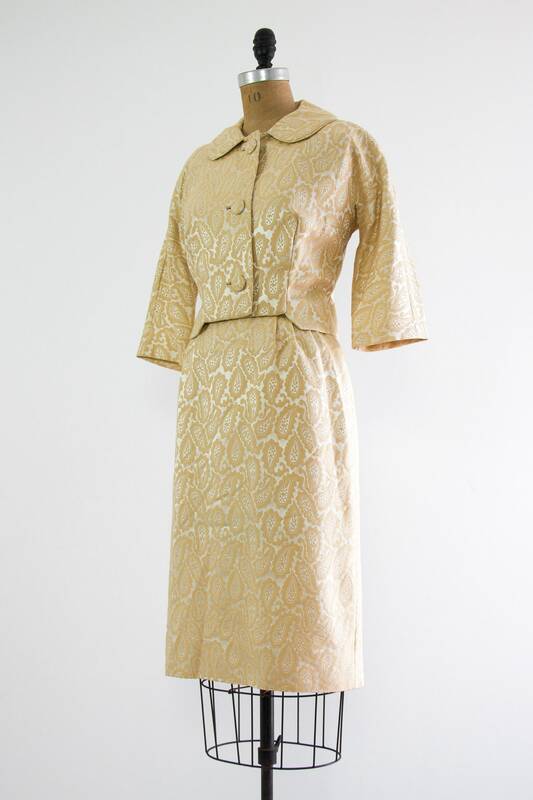 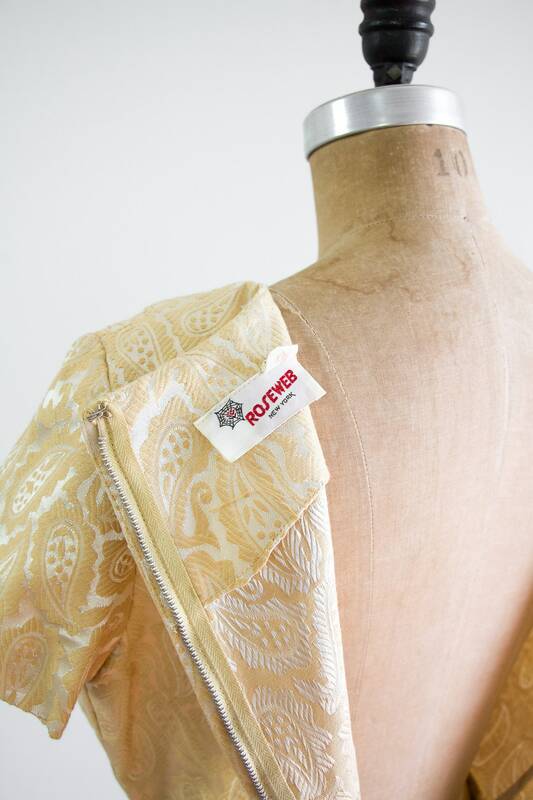 Wiggle dress and jacket set made from a golden buttercream yellow satin brocade with paisley print. 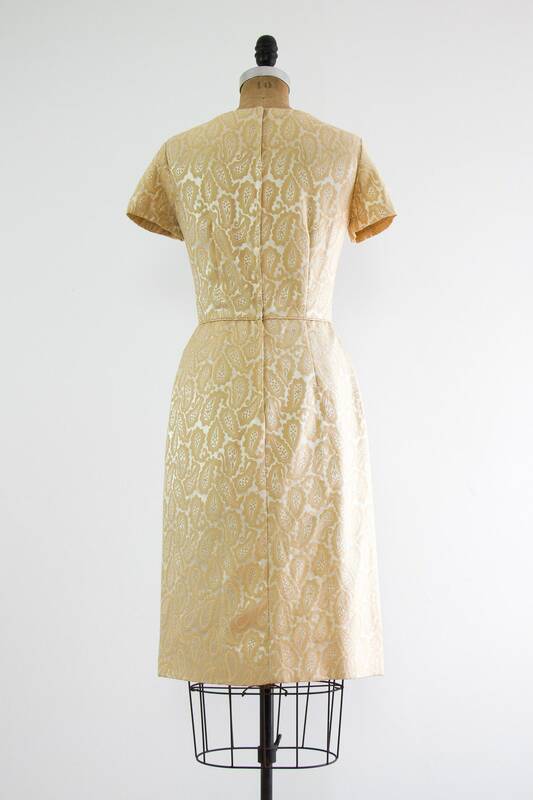 Dress has a metal zipper down the back. 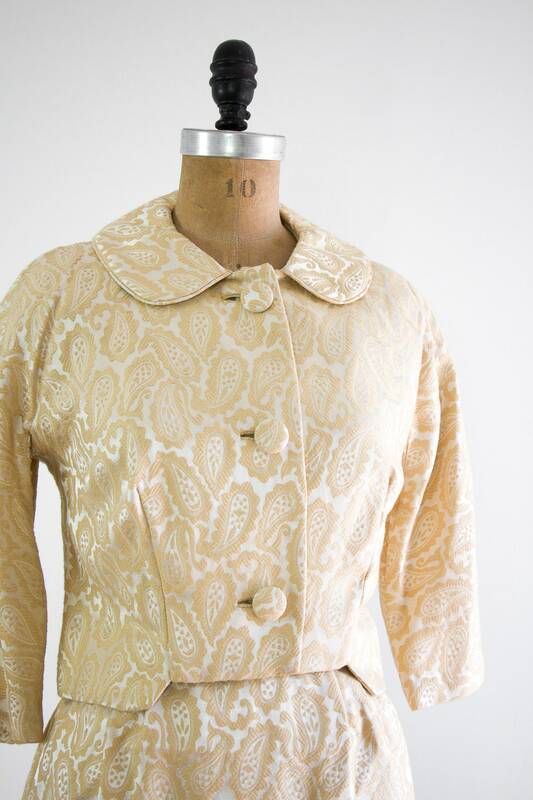 Jacket has button closures, peter pan collar, and 3/4 length sleeves. 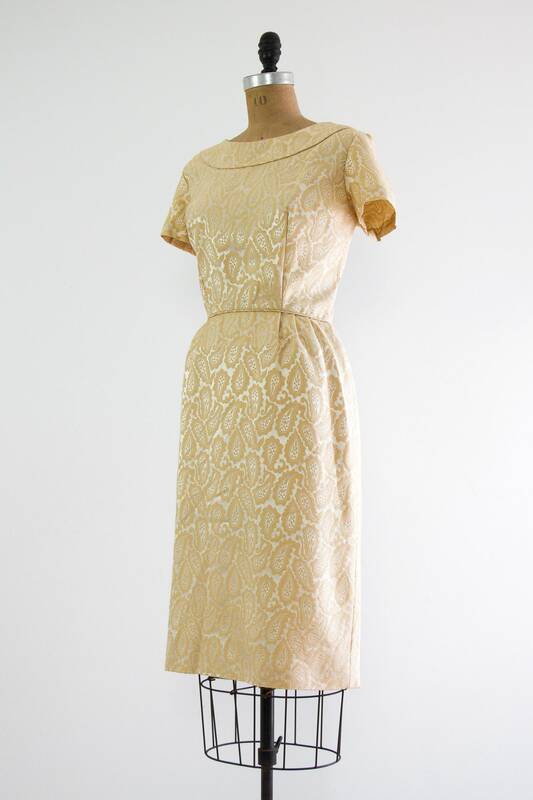 Opaque and unlined.